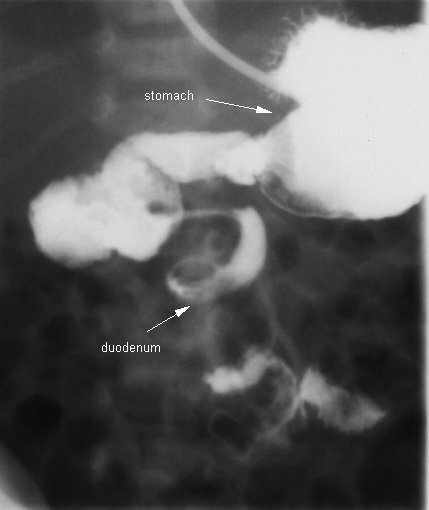 Image 1 (Upper GI Contrast Study): There is a spiral or corkscrew appearance of the lower duodenum and proximal jejunum consistent with malrotation. 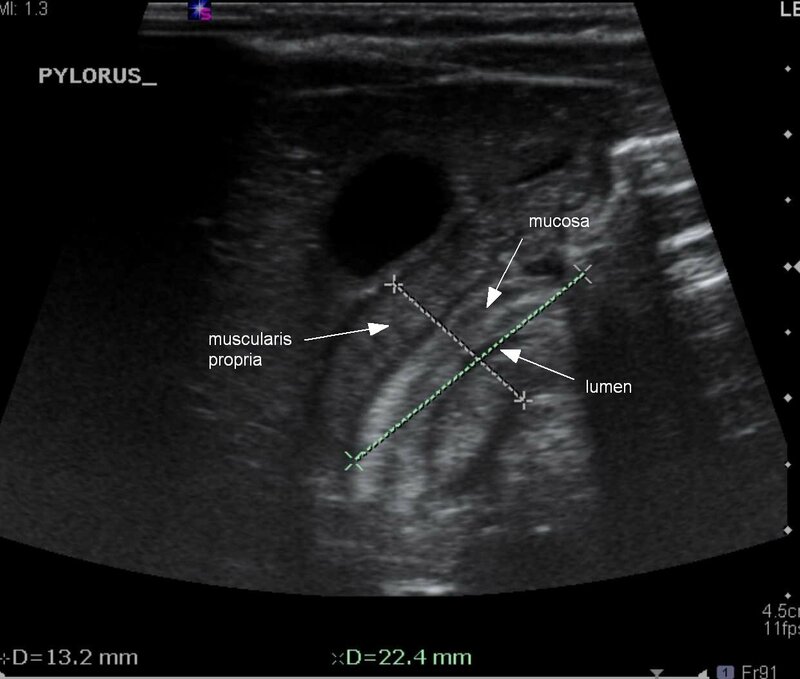 Image 2a and b (Ultrasound): The pylorus is enlarged, measuring 22mm in length, 13mm in width and the muscle thickness is almost 5mm. 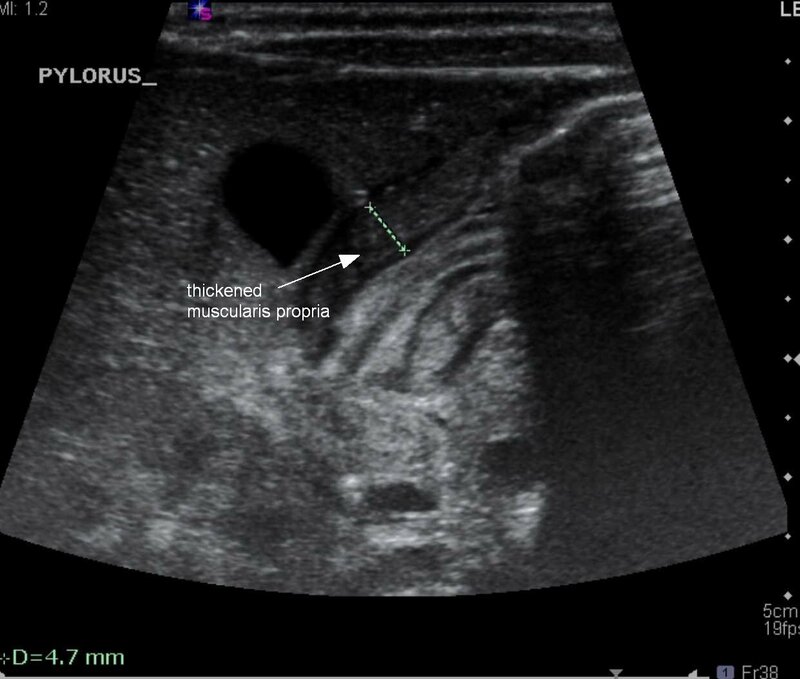 The appearance is consistent with significant hypertrophic pyloric stenosis.